Gean Roofing has been providing Northern Indiana and Southwest Michigan with one-of-a-kind roofing knowledge for more than 27 years. For over two and a half decades, Gean Roofing has provided our unique Lifetime Warranty Against Leaks. We’re here to ensure that quality isn’t affected by age. Keeping your roof safe isn’t just of aesthetic interest — your home depends on it. Why Replace when you could repair? By using Gean Roofing, work is backed by our one-of-a-kind Lifetime Warranty. 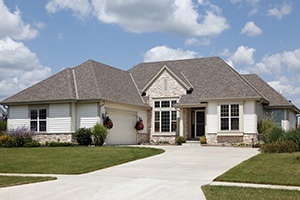 Gean Roofing is the oldest preferred Owens Corning contractor in the midwest, and the 3rd oldest preferred Owens Corning contracted in all of America. From ensuring the symmetry of your home to keeping you out of the rain, your roof is one of the main components of your home. And at Gean Roofing, we’re committed to helping you keep it fully intact. Unfortunately, many people neglect to treat their roof with the same care as their siding, doors and windows, and HVAC. They often award work to the one who offers the lowest bid. But low bids can often result in poor workmanship, and poor workmanship that needs to be re-done can cost you hundreds, even thousands of dollars in expenses. Given the significance that your roof plays in your day-to-day life, why would you trust anyone else but a specialty roof contractor to ensure its well-being? The answer: you wouldn’t. And Gean Roofing doesn’t do the job like just any contractor. In our 27+ years, we’ve seen just about every kind of roof problem that exists, yet we’ve never failed to fix a roof leak. In fact, we’ve repaired so many roofs that often times we can tell who did it in the first place – just by inspecting the roof. Roof repair is our specialty. WE SPECIALIZE IN ROOF REPAIR. 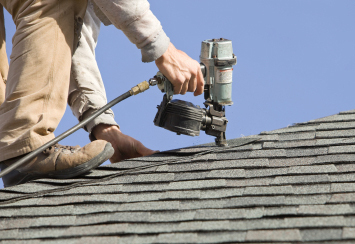 If your roof is in need of repair, we are here to help. Call us today at 1-800-308-0463, and let us get your roof back to the way it should be! Our inspections cover 17 different points of your roof, as well as your attic. Our unmatched attention to detail is here to keep you protected from any issues. We are here to repair any issue.